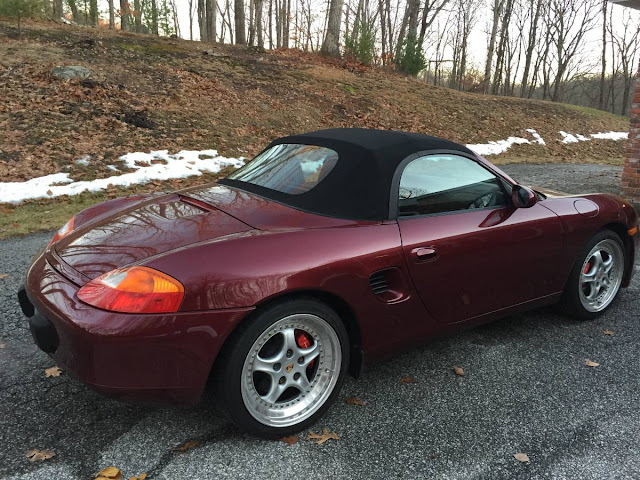 The all new mid engine Boxster made its debut as the entry level Porsche in 1997. Power came from a modestly powered 2.5 flat six engine that made 201 horsepower. 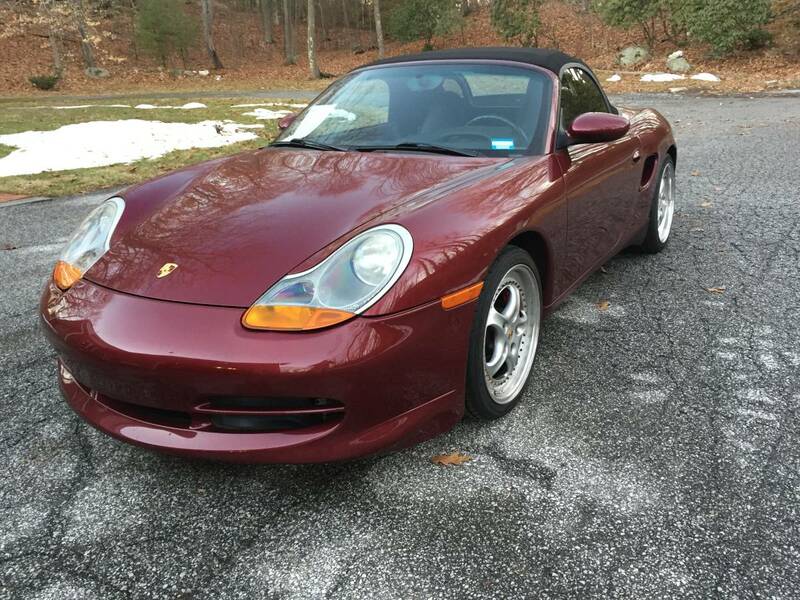 In subsequent years, a higher power S model was introduced, but no Boxster was able to outperform the 911. Today's Boxster has a engine swap from a 2000 911 Carrera gaining at least a 100 hp and about 75 lbs of torque in the process. Find this 1997 Porsche Boxster 3.4 for sale in Roxbury, CT for $15,500 via craigslist. The 2.5 to 3.4 engine was done by Porsche Specialists Musante Motorsports. A number of maintenance related items are noted as being replaced: hoses, belts, fluids, and convertible top. The car has 52,000 miles on it. It is not noted how many miles were on the donor engine or how long ago it was done. The Boxster has had a number of modifications in addition to the engine swap: 2.25" stainless headers, Kinesis Super Cup 18" wheels, GT3 front valence, and Brembo brakes. 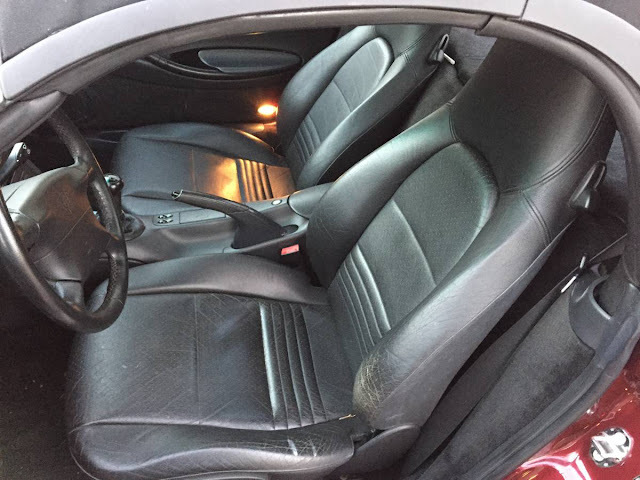 The seller notes the car is always garaged, clean, reliable, and a blast to drive. This car would seem to give last Sunday's Corvette C5 Z06 a run at the best bang for the buck around 15k. Do you agree? Cory is waiting for spring weather to arrive so he can get his 1995 Mercedes C36 AMG project on the road. Kind of an interesting way to solve the IMS bearing issue, but I thought the IMS was made more 'service friendly' by '97, so this should not have been required. The front valence looks a bit odd without some kind of matching side skirts. I'm remembering things differently than Just Jefferson, I thought the 3.4 had the IMS concern and there's no mention of it being addressed in the ad, so that's something to definitely ask about. All that money spent on a swap and there isn't one picture of the motor? Totally agree. Forget the hairdresser jokes, the 986 is a true drivers' car. It feels light and alive and certainly more fun to drive than the 981. The motor alone probably cost 12k. 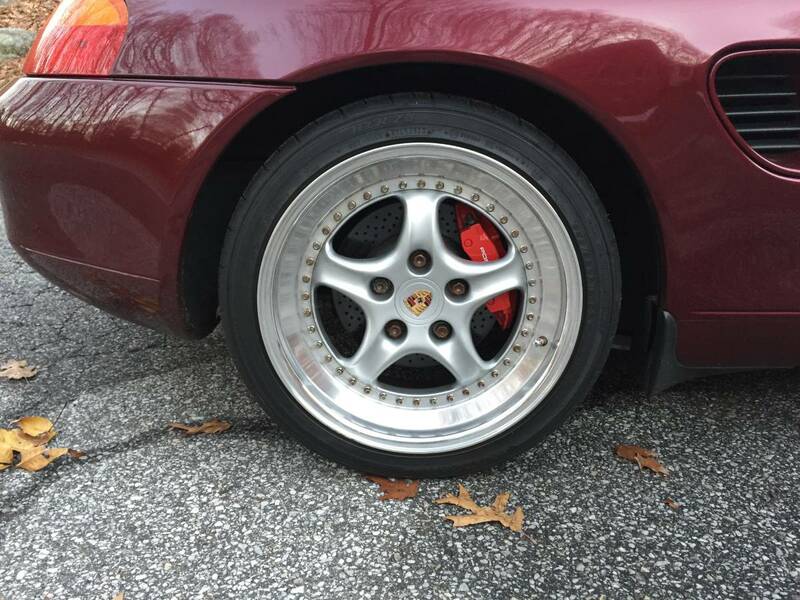 Who doesn't want 300hp mid engine Porsche fun?